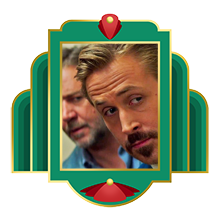 This week, dear listeners, we bring you an episode about Shane Black’s latest film, The Nice Guys! Even better, we recorded this with our Mississippi friends, Lisa Rucker and Jessica Griffis, right in the beautiful city of New Orleans! If you would like to drink along, we recommend either a hand grenade or a shark attack, because all drinks should come with drink toys.